We bring experience and understanding to the field of personal injuries. We have extensive experience on all matters relating to personal injuries to include applications to the injuries board, the circuit court and the high court. 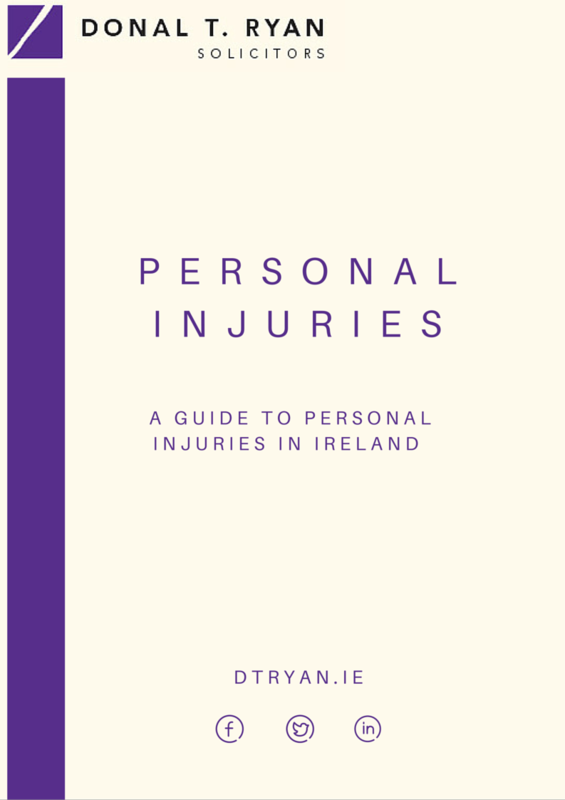 This is whether the injury arises through a road traffic accident, a workplace accident, trip and fall in a public place or otherwise. We offer a friendly and professional service to our clients and will work with you to achieve the best outcome possible. The Injuries Board is an out of court system for dealing with personal injury claims. When an injury is suffered, a claim for compensation must generally be lodged with the Board within two years. It is crucial, however, to take action as soon as possible as your rights may be affected if you delay and do not notify the person who is responsible. If you have suffered injuries or loss that are the basis for a claim for damages you should consult a solicitor immediately for advice. Medical negligence are extremely complex areas of law and requires specialist expertise on the part of the Solicitor. Our Litigation department has extensive experience of a variety of medical negligence cases, includes injuries obtained at birth, misdiagnoses, surgical claims and hospital acquired infections. Listen to Aidan Leahy on RTE Drive Time discussing medical negligence.